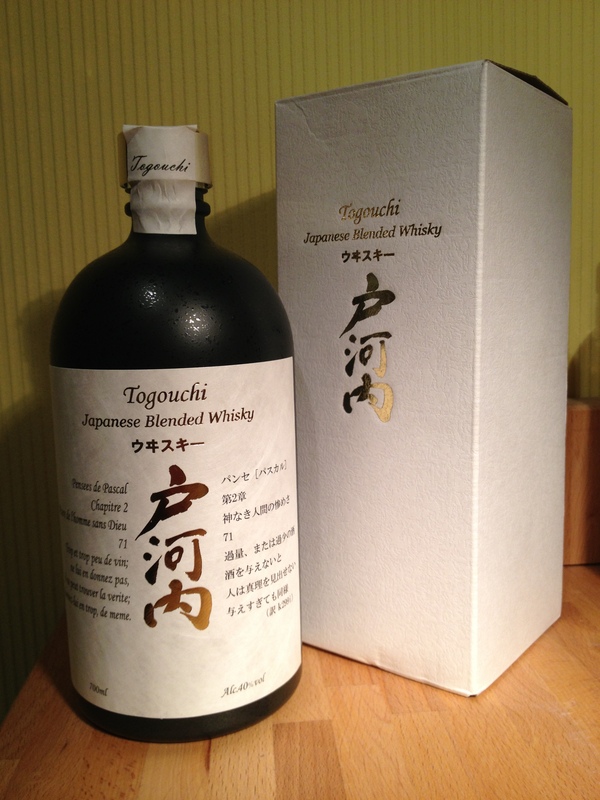 Togouchi blended whisky is produced by the Chogokujozo company in Japan. 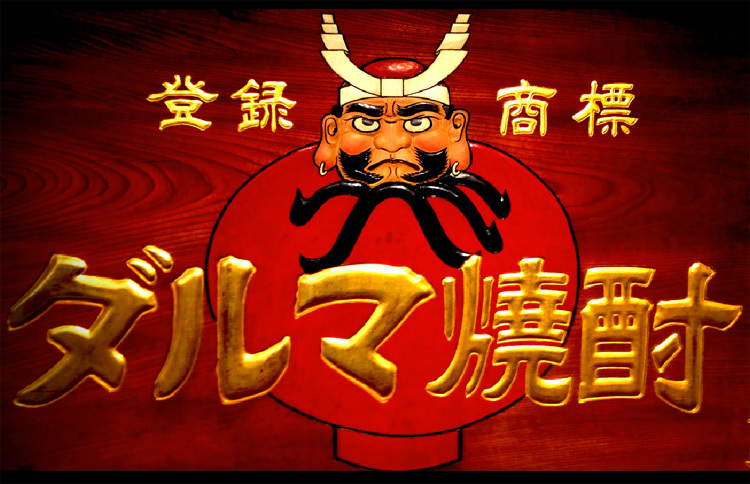 The Chogokojozo company was started in 1918 as makers of Sake and Shochu, near to the city of Hiroshima in Japan. In 1990 they added whisky to their portfolio by importing spirit for blending and then maturing it in a disused railway tunnel that was dug 387 metres into the mountainside in 1970 by JR Japanese railway company, in order to expand the line up from Kabe to Hamada in Shimane. The conditions within remain at a constant temperature of 14ºC and 80% humidity, making it ideal for maturation of their spirits. Labelled as Japanese blended whisky, this starts life as distillate in Scotland or Canada and is imported to Japan before taxes and duty are paid (thus naturalizing it and making it ‘Japanese’ whisky). 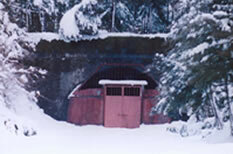 The whiskies are blended and placed in oak barrels to mature inside a tunnel. 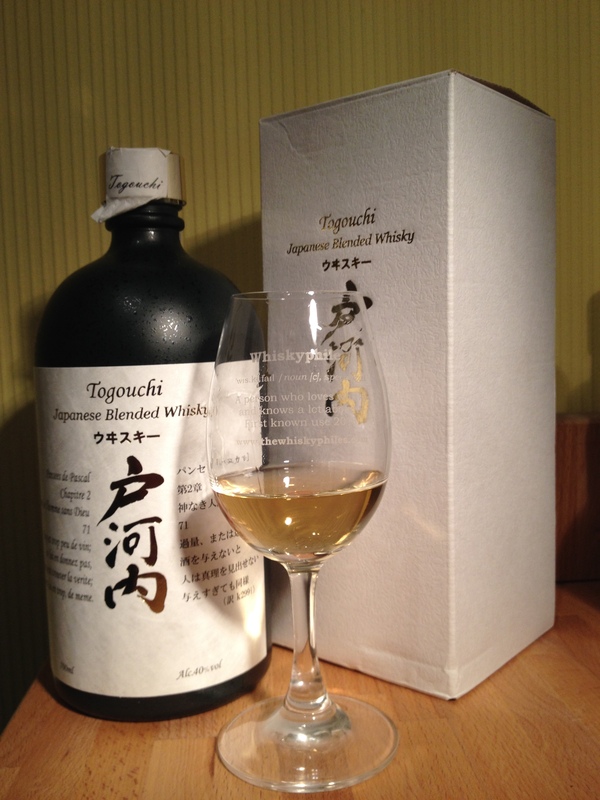 The Togouchi ‘Premium’ or ‘NAS’ blend states that it was matured for a minimum of 8 years in Spanish sherry oak casks. A ‘Japanese’ blended whisky of interesting heritage. Widely available in France, this seems to be produced in Japan mainly for the export market as it is rarely encountered within Japan itself. Very light and drinkable, I suspect a high percentage of grain or ‘Canadian’ style whisky in the mix. Masses of vanilla and sweetness and only a slightly tannic nature indicative of sherry cask. My assumption would be American white oak with the amount of vanillins found in this blend. Still it makes a nice aperitif style whisky or light starter dram.